For most families, the kitchen is the heart of the home, especially during the holidays. From testing family recipes to decorating cakes and cookies, everyone enjoys being part of the preparations. 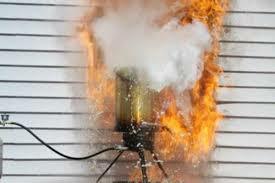 If deep frying a turkey, be sure to take extra precautions. Accidents can, and do, happen at an alarming rate during this deliciously dangerous cooking technique. When done safely, deep fried turkey is a tasty treat. Make sure you survive the cooking process by exercising extreme caution. Previous Previous post: Is your company in need of Safety Certifications?